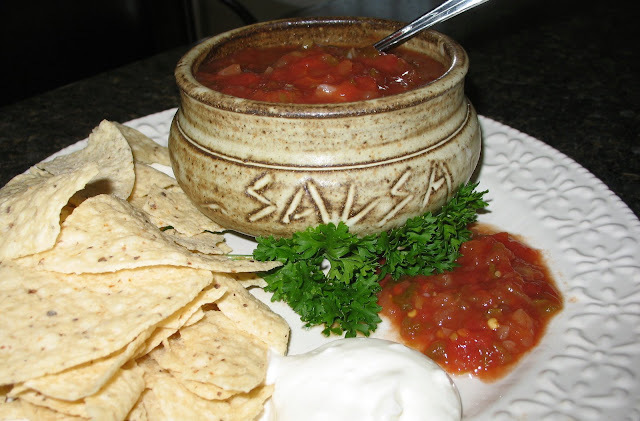 Since there's an abundance of tomatoes and peppers out there right now, I thought I would share my salsa recipe. 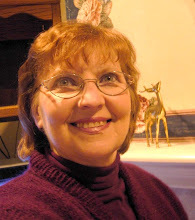 It's a recipe I got from my sister Kathy about twenty years ago and is a staple at our home. I cook up a large batch in fall and we enjoy it year-round. This is a zippy salsa; if you prefer yours on the mild side, remove all the seeds and ribs from inside the jalapeno peppers. Combine all ingredients and simmer for 1 hour. Ladle into jars; tighten lids and process for 20 minutes in hot water bath. *Optional : Stir in 1/3 cup cornstarch diluted in cold water and simmer for several minutes to thicken salsa before filling jars. *This also makes a wonderful, tasty fresh salsa. Place chopped veggies in a large bowl. Mix vinegar, tomato paste, herbs and seasonings and add to chopped vegetables. Stir to combine. Keeps well in the refrigerator for a week. 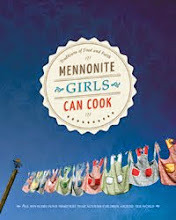 Tucked into the bread section of my Mennonite Treasury Cookbook is a stained and worn piece of paper with the recipe for our family favorite brown bread. 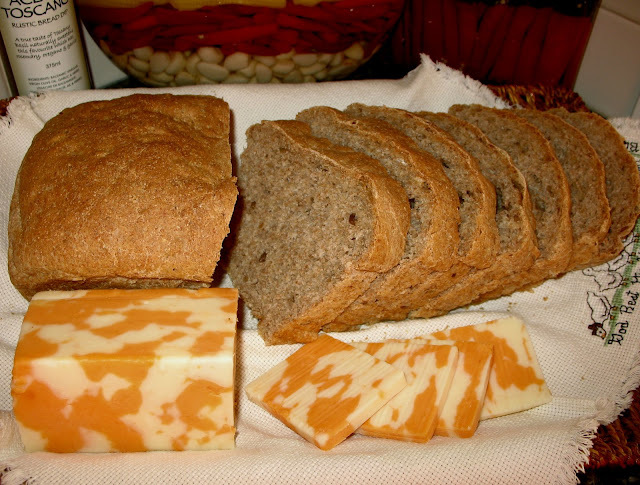 I got it from a friend in the late seventies and is simply known as Ruth P's brown bread. 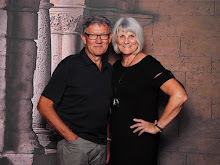 I often wonder what happened to Ruth, one of those people who was part of my life for a time and who I haven't heard from in twenty years. 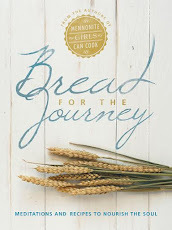 But I think of her whenever I bake her bread and hope things have gone well for her and her family. 3 cups white flour (plus 1-2 additional cups in step 5). 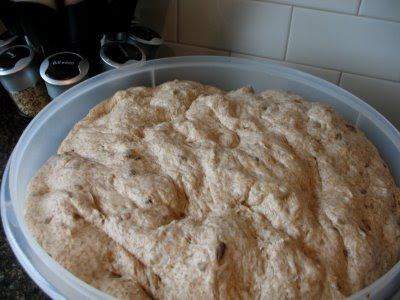 Prepare yeast mixture by dissolving sugar in lukewarm water...add yeast and let stand ten minutes. In large bowl, dissolve salt and honey in warm water...add yeast mixture. Mix together the three types of flour. Add flour slowly to mixture in bowl and beat well. Add oil and sunflower seeds. Knead in enough white flour to make dough smooth and elastic. Cover and allow to rise in a warm place until light. 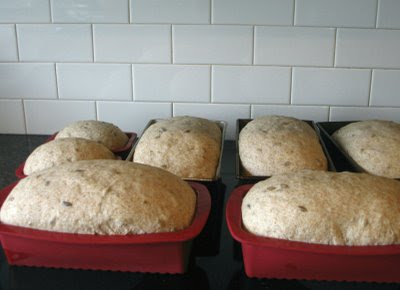 Punch down and form loaves. Let rise until doubled in bulk. I gave you the recipe as it is written, but since I always use my Bosch machine to mix bread, my methods and amounts differ slightly. 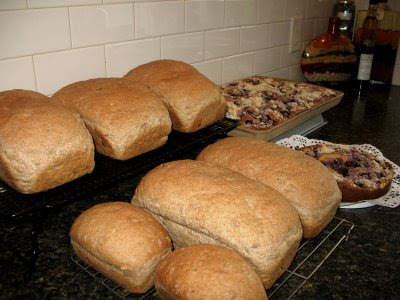 I usually do one-and-a-half times the recipe, and make a few little loaves for the grandkids. 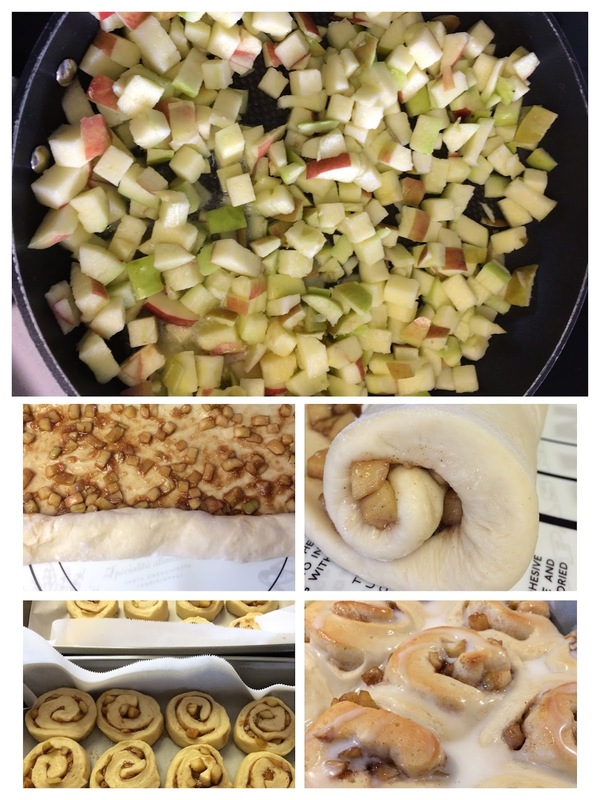 Although several great recipes for pies have been posted already, I will add some more pictures and ideas so that we have more to glean from. 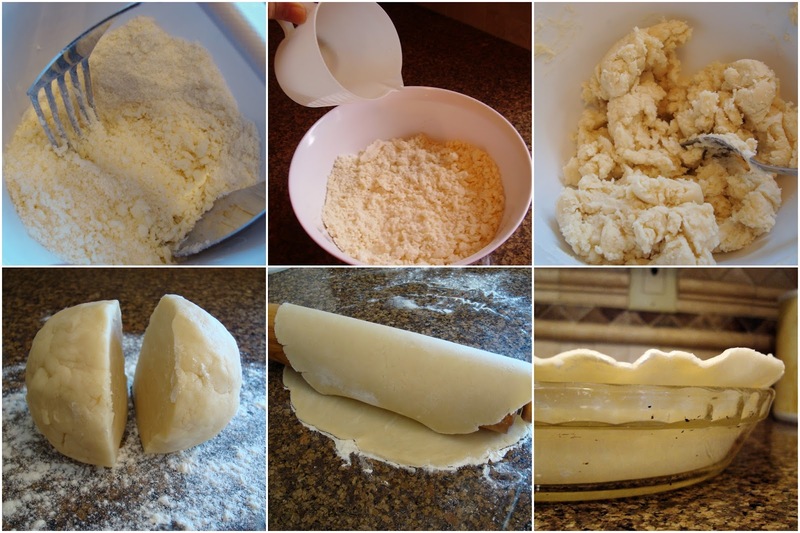 Below I have the general pie pastry recipe for 1 double crust pie. This will fit a regular or a deep dish pie plate. Combine flour, salt and shortening in medium sized mixing bowl. Sprinkle with water and stir with fork, in circular motion, until there are no more lose crumbs. Press together with hands and shape into a ball. Divide in half. Brush unbaked bottom crust with slightly beaten egg whites, to keep from getting soggy. Fill with fresh or frozen fruit. (approx 6 cups) Sprinkle with mixture of sugar and flour that is WELL MIXED. (Amounts will vary depending on tartness of fruit and taste preference) I just shake or tap the pan so sugar disperses a bit. Cover with second crust. Fold top crust over and under bottom crust, so that you can pinch the two layers together as you flute them. Brush with beaten egg white and cut small slits. Bake at 400 F for 15 min. Turn down to 350 F and bake for another 50 min. or until juice bubbles out through slits. 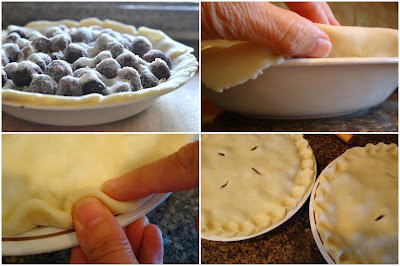 Divide the pastry into three or four balls and divide each ball again, so that you can make 3 large double crust pies or 4 small double crust pies to fit 9-inch foil pie plates. Don’t forget to brush the bottom crust with an egg wash and then again the top. 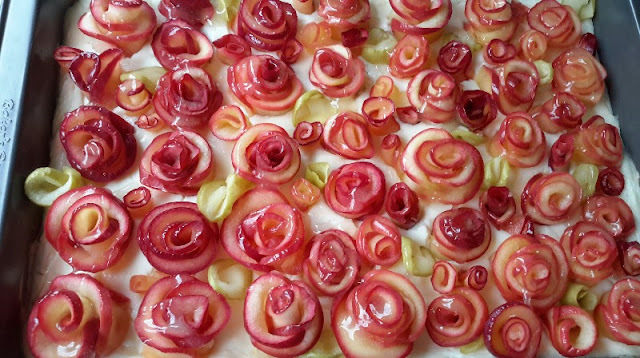 Because the foil pie plates are smaller, use a little less fruit (4 – 5 cups) and a little less sugar mix if you want them slightly on the tart side. Freeze pies first to freeze the egg wash on top, then transfer into plastic bags, or do the top egg wash just before baking. Note: a frozen foil plated pie will easily transfer into a glass pie plate later. * Don’t knead pastry, rather handle as little as possible. * If the pastry tears as you transfer it, don’t re-roll, rather patch and seal with egg wash later. * Don’t add more liquids because it will give a tougher crust. * Baked pie keeps up to 5 days in the fridge and can be re-heated. Pie can also be frozen raw and baked later. My mom made a soup like this when I was growing up, but it wasn't one of my favorites. Recently I decided to revisit this green bean soup and found that it’s actually better than I remember. The broth, with a little sweet cream in it, reminds me of the Zuppa Toscana soup at Olive Garden. How much better can it get? 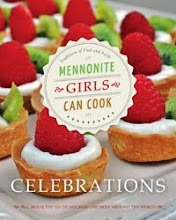 Here is the recipe – a combination of ideas of how my Mom made it and a recipe in the Mennonite Treasury. Cover ham bone with about 8 cups water in large pot. Tie spices into cheesecloth and add to pot. Bring to boil, take off scum, and simmer about 1 hour. Take out ham bone. Add vegetables and cook another hour. 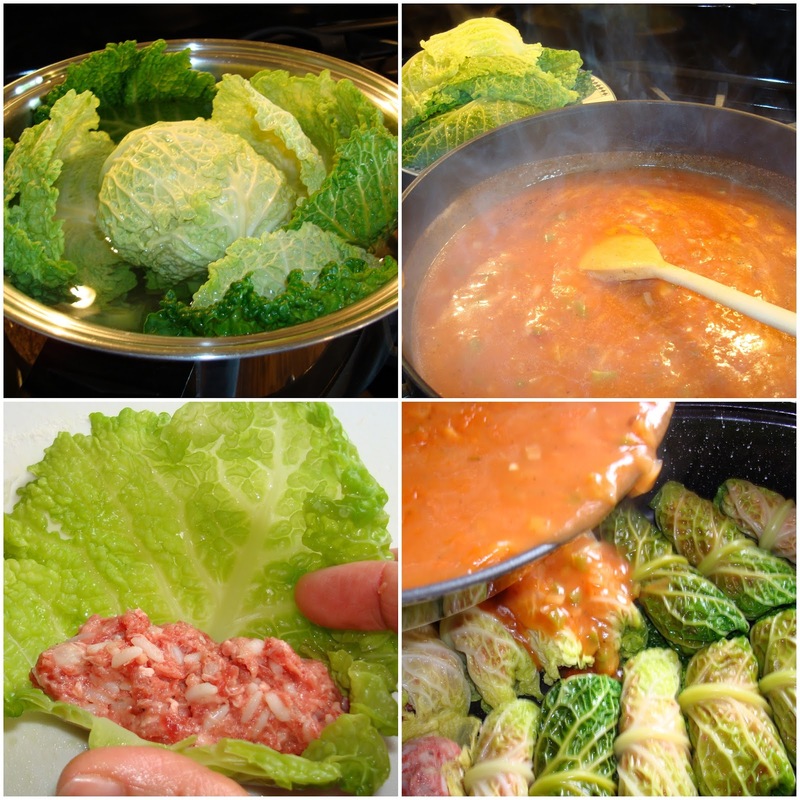 While vegetables are cooking and after ham has cooled somewhat, remove ham from bone, chop into bite size pieces and return to pot. About ½ hour before it’s done, add a handful of summer savory, tied together for easy removal. If you can’t get summer savory, use a tiny sprinkle of thyme. Adjust flavors with bouillon if needed. Add ½ cup sweet cream or sour cream, before serving. Enjoy a trip down memory lane. To make this soup with farmer sausage, simply cook peeled and chopped sausage along with vegetables for an hour. You can also pre-cook the onion, then add water, sausage and vegetables. Use bouillon cube and summer savory for flavor.